It was our 12th Wedding Anniversary this week. The husband handed me a store bought card and says, "where's mine? The homemade one.". So that's what I did. He has a point though, that for me anyways, it's the people I'm closest to that are the last to get one of my cards. I'm so busy making them for everyone outside of the house that the people inside the house rarely get one. 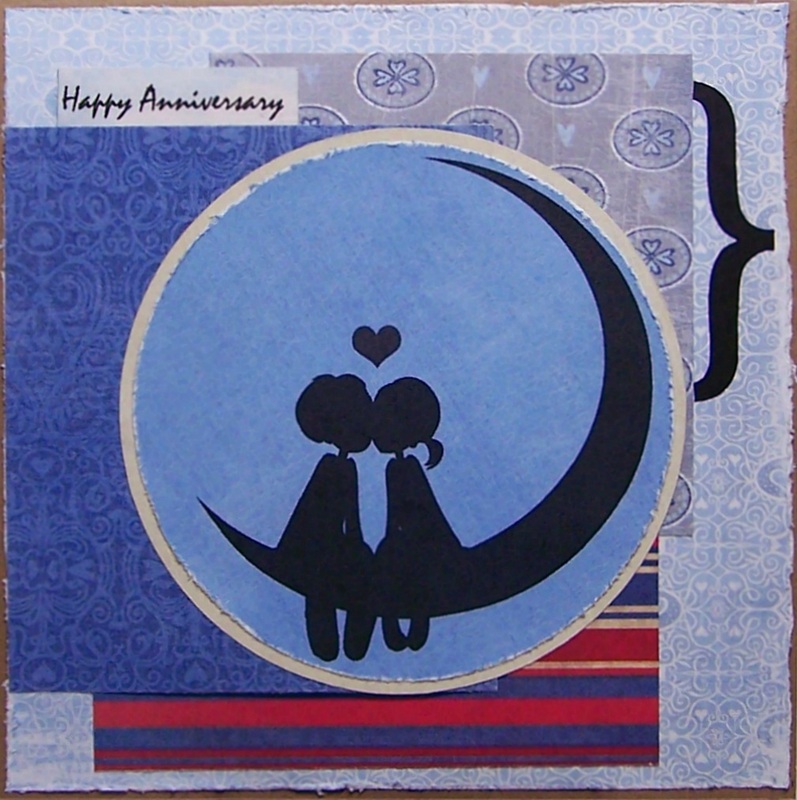 I bought the Moon Love digi stamp from Karber Stamps. And I followed the sketch at Sketchy Colors. I loved all the layers to it, even though that is one of my phobias. But my goal is to use more patterned papers and I love the way it turned out. I printed my image right onto my blue patterned paper. Same with my sentiment. Kraft cardstock is my card base. And the husband was very pleased to have a card of his own, and he deserves one. He really is a wonderful man. Cute card, and so rigth for the occasion! Thanks you so much for joining us at Sketchy Colors this week! A totally sweet Anniversary card that I'm sure he'll treasure! I'm the same way with my cards; sometimes I do them for hubby, but sometimes I know he won't really care, either way! 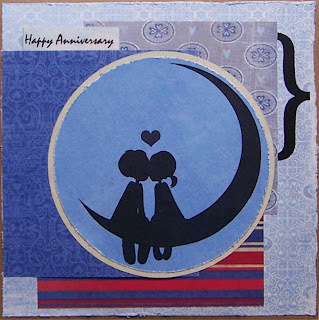 Thanks so much for sharing with us @ My Sheri Crafts biweekly challenge!!! Beautiful and sweet card! That image is adorable. Happy Anniversary!!!! Thanks for joining us at My Sheri Crafts!